What’s great about visiting Fort Worth is that everything seems to be accessible and easy to see however if you plan on traveling with a huge number of people, such as a group of friends, or a large family or a church group, this is a different thing. You will definitely need expert help from charter bus Fort Worth, TX service. Call us today at (214) 206-9269. Why choose charter bus Fort Worth? You will not just arrive to your destination when you choose charter bus Fort Worth but you will also arrive on time in a relaxed and fun way. You will sit on the most comfortable seats, enjoy a movie or watch latest television shows on audio and video equipment and even use your smartphone, Android phone or any mobile device to connect to the internet using Wi-Fi. You will arrive safe and on time because your bus will be driven by an experienced and professional driver who could also act as your tour guide for the trip. What Charter Buses are Available for Hire in Fort Worth? 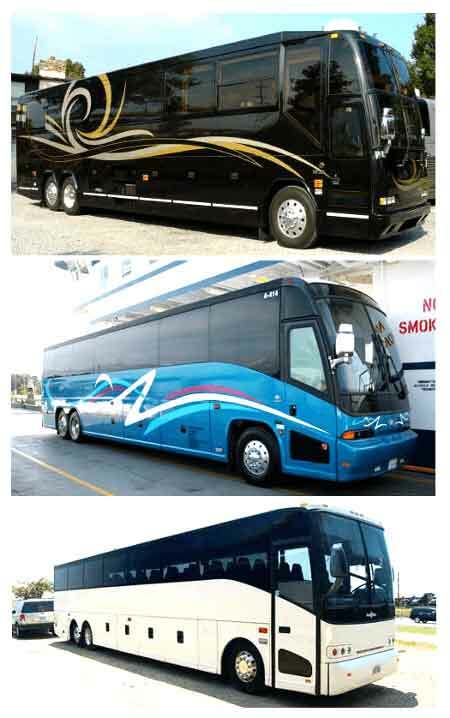 No matter how many you in your trip, you can find a charter bus rental Fort Worth to fit your needs. There are minibuses that can carry 20 people, shuttle buses that can hold up to 30 passengers and large charter buses that can hold anywhere from 40 to 50 people at a time. We also have a fleet of party buses in Fort Worth for groups of all sizes! It is highly recommended that you have an exact number of people on your group before you call to make a reservation (214) 206-9269. What Are a Few Tourist Attractions in Fort Worth? Kimbell Art Museum – this has the most impressive art collections in the city and truly a great place to visit if you love and breathe art. This is a good place to introduce art to young people too. Fort Worth Zoo – this is a local zoo with impressive standards! There are great programs for visitors and zoo day trips for large groups and families. Fort Worth Botanic Garden – this is a wonderful garden in the middle of the city. Locals love to use this garden as a wedding venue or a wedding pictorial venue. There are walking paths, fountains, benches and so much more. What is the Price for a Bus Rental? There are different rates when you rent a charter bus in Fort Worth. This rate varies according to the number of passengers in your trip, the type of bus that you want to rent, the destination where you want to go and the day or days that you want to rent it out. What Areas Do Your Buses Service? Aside from Fort Worth, your bus could also serve University Park, Rowlett, Richardson, Plano, Mesquite, Lancaster, Irving, Houston, Highland Park, Grand Prairie and Garland. You might also like Fort Worth Limo Service.